The majority of waste edible oil is exported to other EU Member States for recycling into biodiesel. According to the official records of the Environmental Agency of the Republic of Slovenia, there is no industrial biodiesel production from waste edible oils in Slovenia. The indicator shows annual quantities of generated and collected waste edible oils and fats, as well as methods of their recovery. Waste edible oils and fats represent a fraction of municipal waste with the classification number 20 01 25. The management of waste edible oils and fats (hereinafter: waste edible oils) generated by kitchens in the perform of their food business and in households, is regulated by the Decree on the management of waste edible oils and fats (Official Gazette of the Republic of Slovenia, No. 70/08). Among other provision, the Decree stipulate that waste edible oils may not be mixed with other types of waste, released into the municipal sewer system, into small municipal treatment plants, cesspits (septic tanks) or directly into water, nor can they be discharged into or onto land. To separate edible oil from other fractions of municipal waste and ensure recovery, predominantly recycling into biofuels. According to the Environmental Agency of the Republic of Slovenia, the quantity of generated and collected waste edible oils is slightly increasing. 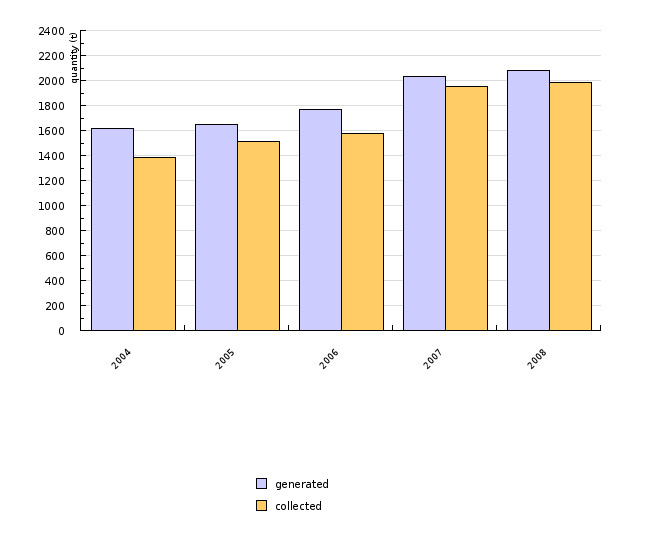 The quantities collected by registered collectors and quantities collected within the performance of public service for collection and removal of municipal waste both contributed to this increase. In 2007, 2,035 tonnes of such waste was generated, and 1,955 tonnes were collected. 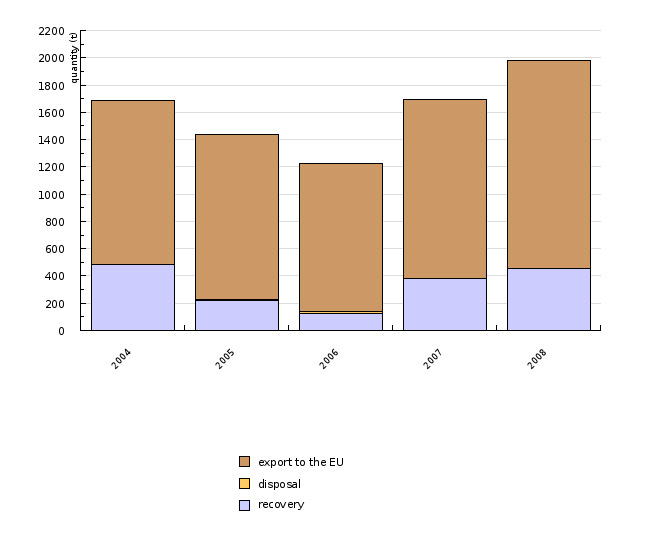 The prevailing management mode is export to EU Member States for recycling into biodiesel. To that end, 1,310 tonnes of this waste were exported in 2007, and other methods of recovery were provided for 383 tonnes. To date, there is no industrial biodiesel production from waste edible oils in Slovenia. The production of biodiesel on the industrial level requires an environmental protection permit as stipulated in the Decree on activities and installations causing large-scale environmental pollution (Official Gazette of the Republic of Slovenia, Nos. 97/04, 71/07 and 122/07). The objectives have been taken from the 'Operational Programme on waste deposition aiming at the reduction of deposited quantities of biodegradable waste' (Novelation, March 2008, page 51) and from the Decree on the management of waste edible oils and fats (Article 4). Up to 26 July 2008 provisions on the management of waste edible oils and fats were stipulated by the Rules on management of waste edible oils and fats. As from the above date, the Decree on the management of waste edible oils and fats has been in force; however, the methodology for data collection has not changed. • landfill operators who reported on deposited waste edible oils. In accordance with the currently applicable regulation, the liable entities are obliged to submit their reports to the Ministry of the Environment and Spatial Planning – Environmental Agency of the Republic of Slovenia by 31 March of the current year. The Agency examines the contents of the submitted reports and in case of established irregularities data are reconciled with the liable entity concerned. Furthermore, the liable entities that have not submitted their reports by the prescribed deadline are requested to do so. All gathered data are entered into the database.